Other Ingredients: maltitol, hydroxypropyl methylcellulose, pomegranate (Punica granatum) fruit extract, vanilla flavor, vegetable source magnesium stearate, stevia. Recommendations: Take 2 tablets daily, 1 in the morning and 1 at night. For additional support, may increase to 2 tablets twice daily. Hold in the mouth and allow to dissolve before swallowing. 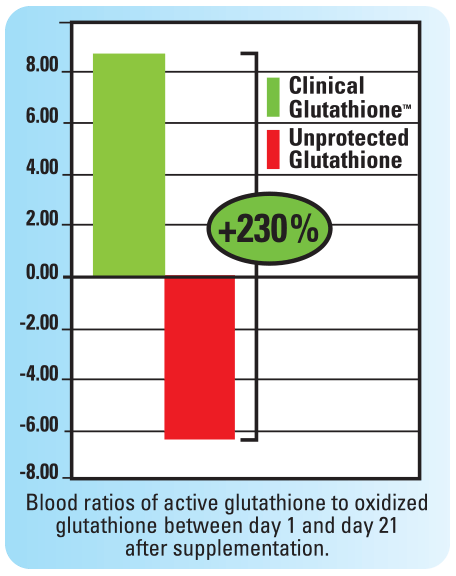 Why is it called “reduced glutathione?” Does that mean there's less glutathione? No. Reduced glutathione is simply the stable, active form required for good health. When glutathione is oxidized in the body, an enzyme called “glutathione reductase” helps return glutathione back into its antioxidant state. The normal functions of the body typically destabilize any antioxidant, but with glutathione, it is important to have a strong ratio of “reduced” – that is, active – glutathione (GSH) to oxidized glutathione (GSSG). Why not just use N-acetylcysteine? Isn’t that a building block of glutathione? N-acetylcysteine (NAC) is a building block of glutathione, but it is also dependent on the body’s ability to make glutathione, which varies greatly with age and health status. Trying to use NAC alone can’t guarantee that you’ll be able to support active glutathione levels or improve blood ratios of this critical antioxidant.